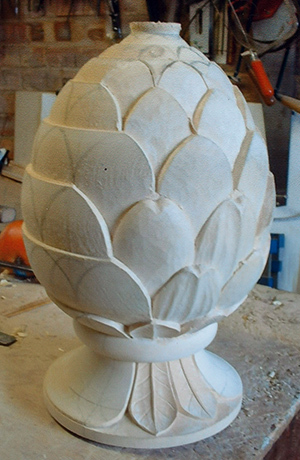 Jose is very passionate about carving and always keen to pass on his skills, knowledge and experience. 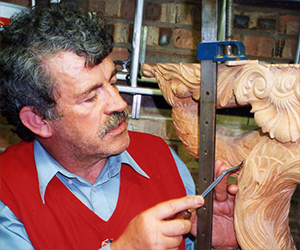 Jose has actively taught carving for more than 35 years, including 10 years at the Manchester College of Art and Design. Jose teaches wood and stone carving classes. Contact by Email or Telephone (01757708545) for further information. 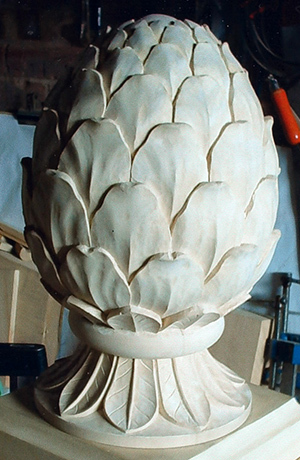 For those interested in learning carving, but unable to make to the classes, be sure to browse the project gallery. 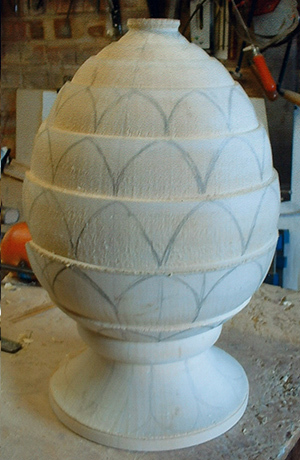 Many projects contain step by step examples of work in progress so you can see how it is done, such as the upturned pineapple example, below.